Manchester United beat Southampton 3-2 to claim their 10th Premier League win in 12 games under Ole Gunnar Solskjaer and climb into the top four. Read on for our analysis. 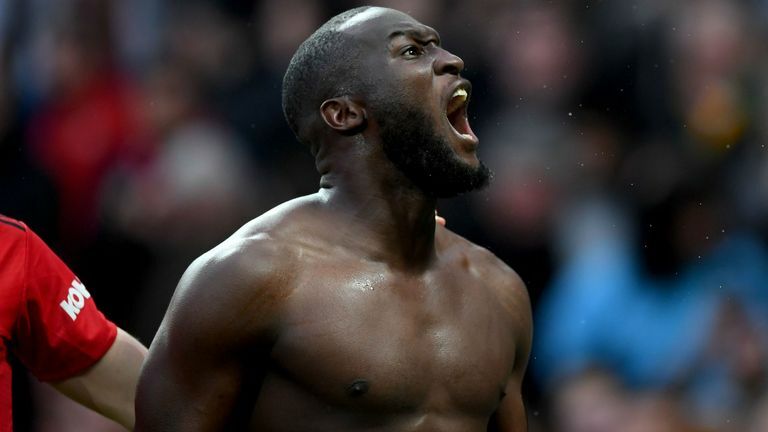 Romelu Lukaku has had to be patient under Solskjaer. The Belgian was absent for the caretaker manager's first two games in charge, and when he did return to action he found himself on the bench, with Marcus Rashford making the most of his opportunity to fill in up front. Now, however, it seems Lukaku is back - and back for good. He has started their last four Premier League games, and having scored twice in the midweek win over Crystal Palace, he produced another double against Ralph Hasenhuttl's Southampton. Lukaku's confidence has returned and his goals showed it. For the first, he latched onto Andreas Pereira's pass, cut inside his marker and curled a low finish into the bottom corner. His second, struck into the same spot two minutes from time to seal the win, was even better. Lukaku's return to form is bad news for Rashford, who finds himself confined to the flank once again, but it is certainly a welcome boost for Solskjaer. With a Champions League showdown against Paris Saint-Germain to come on Wednesday before Sunday's crucial Premier League clash with Arsenal, United will need their No 9 to continue firing. Lukaku took home the man of the match award but it could easily have gone to Pereira. The Brazilian struggled in his last start - the 2-2 draw with Burnley at the end of January - and this was only his third appearances since, but his goalscoring performance showed that he could yet have an important role to play in the final months of the season. His goal, of course, was the obvious highlight of his performance. Pereira had runners either side of him when he collected Diogo Dalot's pass 30 yards from goal, but instead he went it alone, cutting onto his right foot and curling a sublime finish high into the net beyond Angus Gunn. Just a few minutes later, Pereira turned provider, a burst of acceleration taking him away from Maya Yoshida as he collected Luke Shaw's pass and poked the ball forward for Lukaku to do the rest. Those were not Pereira's only important contributions before he was withdrawn for Fred eight minutes from time. His delivery caused Southampton problems on several occasions and his energy and application were invaluable, too. According to Opta, he made more ball recoveries (eight) than any of his United team-mates. His performance will be particularly pleasing to Solskjaer given United's injury issues in midfield. The Norwegian was without Nemanja Matic against Southampton, while Ander Herrera and Juan Mata are also sidelined. On this evidence, though, She will not need not worry about starting Pereira again against Arsenal next weekend. Solskjaer has been picking Sir Alex Ferguson's brain since his appointment in December, so perhaps it is no surprise that his United side possess the same capacity to fight until the end. United were heading for a frustrating draw at Old Trafford after James Ward-Prowse's stunning free kick, but with Ferguson watching on from the stands, they dug out a goal when they needed it most, Lukaku's late strike breaking Southampton's resistance and lifting them into the top four. It was the second time they have salvaged a vital result in dramatic circumstances under Solskjaer. At the end of January, there were two late goals against Burnley to clinch a draw and continue their unbeaten run. Solskjaer has succeeded in making the most of the talent in this United squad, but crucially, he has also instilled the determination of old. Their winning mentality could be vital in the months ahead.